The evidence-based recommendations were developed by the Opioid Therapy for Chronic Pain Work Group. A new clinical practice guideline regarding the use of opioids for chronic pain has been released by the Department of Veterans Affairs (VA) and Department of Defense (DoD). The evidence-based recommendations are intended for practitioners throughout the DoD and VA Health Care systems and were developed by the Opioid Therapy for Chronic Pain Work Group. The revised guideline serves as an update to the 2010 guideline by the VA and DoD. 1. Avoid initiation of long-term opioid therapy for chronic pain. Use alternatives to opioid therapy such as self-management strategies and other nonpharmacologic treatments. When pharmacologic therapies are used, initiate nonopioids over opioids. 2. If prescribing opioid therapy for patients with chronic pain, a short duration is recommended. Note: Consideration of opioid therapy beyond 90 days requires reevaluation and discussion of risks and benefits with the patient. 3. For patients currently on long-term opioid therapy, the VA and DoD recommends ongoing risk mitigation strategies (see Recommendations 7-9), assessment for opioid use disorder, and consideration for tapering when risks exceed benefits (see Recommendation 14). 4. Avoid long-term opioid therapy for pain in patients with an untreated substance use disorder. For patients currently on long-term opioid therapy with evidence of an untreated substance use disorder, the VA and DoD suggest close monitoring, including engagement in substance use disorder treatment, and discontinuation of opioid therapy for pain with appropriate tapering (see Recommendations 14 and 17). 5. Avoid the concurrent use of benzodiazepines and opioids. Note: For patients currently on long-term opioid therapy and benzodiazepines, consider tapering one or both when risks exceed benefits and obtaining specialty consultation as appropriate (see Recommendation 14 and VA/DoD Substance Use Disorders CPG). 6. Avoid long-term opioid therapy for patients younger than 30 years of age secondary to higher risk of opioid use disorder and overdose. For patients younger than 30 years of age currently on long-term opioid therapy, we recommend close monitoring and consideration for tapering when risks exceed benefits (see Recommendations 14 and 17). 7. Implement risk mitigation strategies after initiation of long-term opioid therapy, starting with an informed consent conversation covering the risks and benefits of opioid therapy as well as alternative therapies. The strategies and their frequency should be commensurate with risk factors and include: Ongoing, random urine drug testing (including appropriate confirmatory testing), checking state prescription drug monitoring programs, monitoring for overdose potential and suicidality, providing overdose education, and prescribing of naloxone rescue and accompanying education. 8. Assess suicide risk when considering initiating or continuing long-term opioid therapy and intervening when necessary. 9. Evaluate benefits of continued opioid therapy and risk for opioid-related adverse events at least every 3 months. 10. If prescribing opioids, prescribe the lowest dose of opioids as indicated by patient-specific risks and benefits. Note: There is no absolutely safe dose of opioids. 11. As opioid dosage and risk increase, the VA and DoD recommend more frequent monitoring for adverse events including opioid use disorder and overdose. Note: Risks for opioid use disorder start at any dose and increase in a dose-dependent manner. Risks for overdose and death significantly increase at a range of 20 to 50 mg morphine equivalent daily dose. 12. Avoid opioid doses greater than 90 mg morphine equivalent daily dose for treating chronic pain. Note: For patients who are currently prescribed doses greater than 90 mg morphine equivalent daily dose, evaluate for tapering to reduced dose or to discontinuation (see Recommendations 15 and 16). 13. Avoid prescribing long-acting opioids for acute pain, as an as-needed medication, or on initiation of long-term opioid therapy. 14. The VA and DoD recommend tapering to reduced dose or to discontinuation of long-term opioid therapy when risks of long-term opioid therapy outweigh benefits. Note: Abrupt discontinuation should be avoided unless required for immediate safety concerns. 15. Individualize opioid tapering based on risk assessment and patient needs and characteristics. Note: There is insufficient evidence to recommend for or against specific tapering strategies and schedules. 16. Use interdisciplinary care that addresses pain, substance use disorders, and/or mental health problems for patients presenting with high risk and/or aberrant behavior. 17. Offer medication-assisted treatment for opioid use disorder to patients with chronic pain and opioid use disorder. 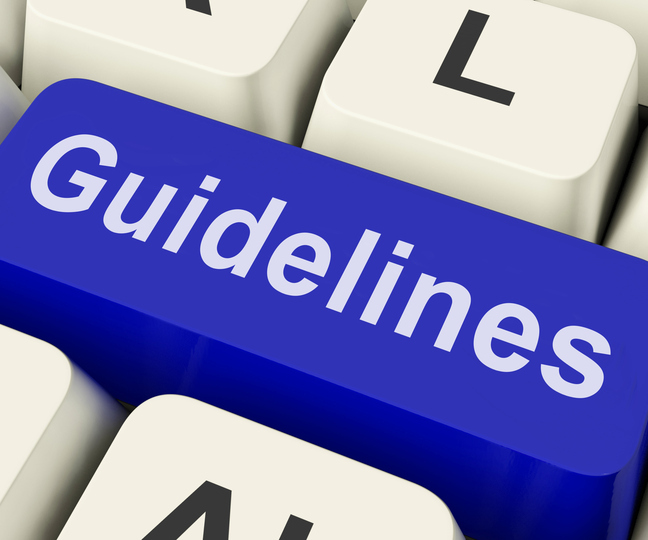 Note:See the VA/DoD Clinical Practice Guideline for the Management of Substance Use Disorders. 18. Use alternatives to opioids for mild-to-moderate acute pain. The VA and DoD suggest use of multimodal pain care, including nonopioid medications as indicated when opioids are used for acute pain (weak strength). If take-home opioids are prescribed, the VA and DoD recommend that immediate-release opioids are used at the lowest effective dose with opioid therapy reassessment no later than 3 to 5 days to determine if adjustments or continuing opioid therapy is indicated. Note: Patient education about opioid risks and alternatives to opioid therapy should be offered. Department of Veterans Affairs and Defense Department. VA/DoD clinical practice guideline for opioid therapy for chronic pain. February 2017. Accessed February 23, 2017.